World Heritage Listed Fraser Island is such a beautiful piece of the Queensland coastline. 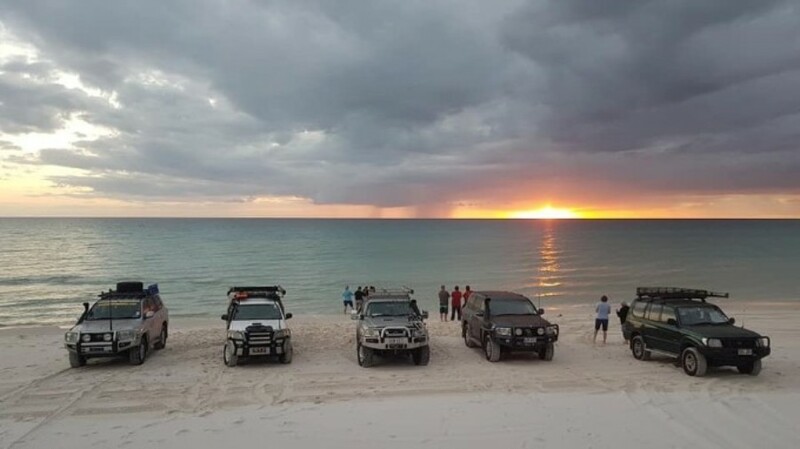 Every year for the last 18 years 4WD clubs associated with 4WD QLD have been coming together for the Annual Fraser Island Clean Up to help keep Fraser Island beautiful, that way generations to come can enjoy it as much as we do. Most of us traveled up on Thursday and stayed overnight at Rainbow Beach. Early start to the morning on Friday, it was a wee bit dark but even more worth the wait to get over to the Island. On our way there, there seemed to be a spot of bother with the sand and a not so nice rock. It appeared that some vehicles had issues with ‘getting stuck’? Can’t understand why? Maybe fines might help them to remember! On a Friday afternoon a few went for a drive up to The Cape where the gorgeous 26metre tall Light House ‘Sandy Cape Light’ is to have a look around and when they came back Holly made mention that unfortunately, the state of rubbish from Ngala Rocks leading up to the Light House was atrocious. A decision was made that if there was time after we had done our rubbish pick up we would make a trip up that way to pick up some rubbish. We knew it wouldn’t make a big dent but at least it would be some sort of a dent. And as it turned out we did have spare time some of us made the trek up there and filled the entire roof rack of my car with full garbage bags & large pieces of rubbish. Half a chair was one item!! 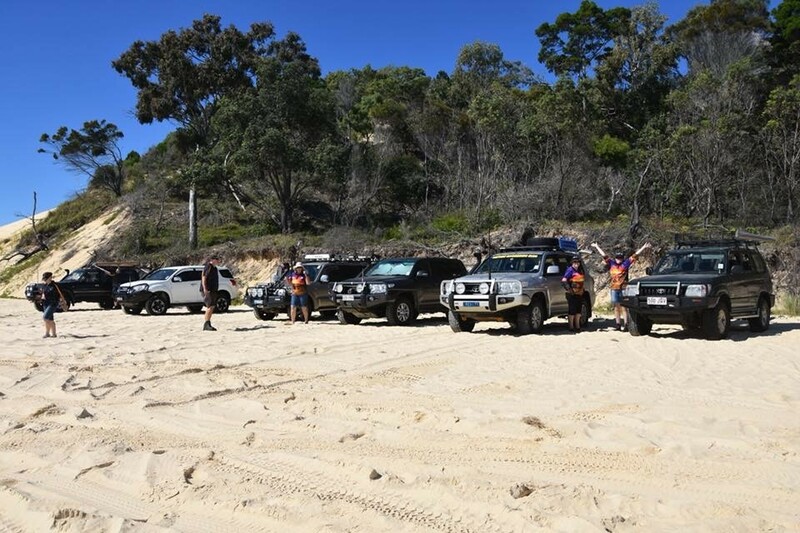 Saturday afternoon was enjoyed with an acceptance of an invitation to join the Moreton Districts 4WD Club at their campsite at Waddy Point for a meet, eat & drink session at their campsite. It was a wonderful afternoon meeting members of their club. Saturday night sitting around at camp Barb Vane & myself went through the rigmaroles of what would happen on the day of the clean-up. On a Sunday morning we gathered on the beach in front of camp as all along the beach front from Waddy Point up to our campsite and a little beyond was where we were designated to collect rubbish. Chris Vane provided the gloves through his work, however, everyone who took a pair of gloves paid $2 and the total gathered from this will go into the club’s social fund. We all had rubbish bags & when they were full were to be dumped at assigned rubbish points to be collected by Ocean Crusaders which was founded in 2010. Ocean Crusaders collected all the rubbish bags from all the clubs, collated & tallied up the rubbish. 20,674 plastic film scraps, 6,442 plastic beverage bottles, 43,701 plastic lids, 741 cigarette lighters are just some of the tally’s achieved. 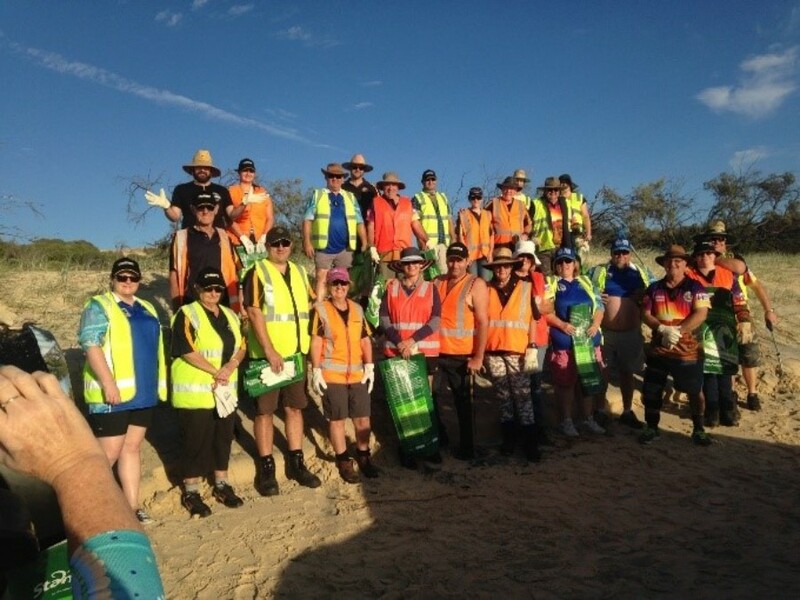 Later that Sunday night there was a function held at Yerong to say thank-you to all who were a part of the Clean Up. There were many raffles to be won (of which I won more Korr’s lighting for my camper) There were many laughs to be had back at our camp also! And for those who didn’t pike & go to bed early a giant game of ‘Kerplunk’ was made by yours truly & brought out to play. I do believe some people cheated. Jason would you know anything about that?? But the rest of us just laughed the night away. Monday called for some to, unfortunately, go back to the real world. The rest of us stayed on for more fun, laughs, eating, drinking, relaxing, playing a board game that Lucy kept winning on and that Al didn’t like the idea of being the oldest to start the game off, we also played cards & dealt with other issues that had us all in stitches!! Until next year at the Fraser Island, Clean Up stay safe everyone.